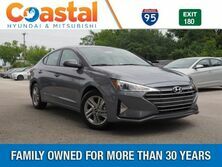 See the quality used vehicles we have at Coastal Hyundai. Our service center is staffed by a team of highly-trained professionals. The Hyundai Kona was the easiest new car I have ever bought. Hyundai staff worked with the time I had, totally with my schedule. Each person I worked with was a total professional. No stones were left unturned and it was a perfect car buying experience! Best people I ever did business with and I have been buying cars for 50 years BMW buicks Ford's olsmobiles Chevy Gmcs this is my 2nd Hyundai and my wife has one. I am so excited. I have been dealing with this Hyundai since 2013. Wes Baker was my sales representative then and has since been promoted and is now a Sales Manager at this location. I just leased another car and the experience today is the same as it was back in 2013. I spent less than half hour of my time in working out the details of the new lease. Wes and his Sales Representative ... Rishi Maharaj work as a great team. They make you feel like you are an insider of the organization. I always have had total confidence in my dealings with them. im loving my new car and how easy it was to find the car I wanted with good help and customer service , left with my new car the same day, I would definitely recommend to friends and family! Hyundai Bluetooth with Coastal Hyundai. Hyundai Lane Departure with Coastal Hyundai. 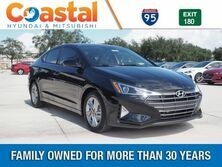 Residing in Brevard County, FL for over 32 years, Coastal Hyundai has delivered exceptional service to the customers of Palm Bay, Melbourne, Viera, Rockledge, and beyond. Browse our fuel efficient selection of new Hyundais and used cars — our friendly staff will find the perfect one for you. When your new Hyundai needs an oil change or and vehicle service, schedule an appointment with our service center. 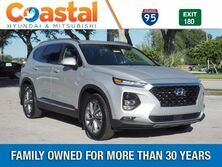 When you’re looking for cars for sale near Palm Bay, Florida, make sure you search the inventory, at Coastal Hyundai. We offer a wide variety of new and used cars. 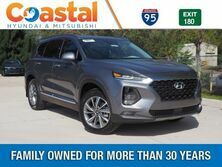 For the latest tech essentials, check out the 2018 Hyundai Elantra or the 2018 Hyundai Sonata, or opt for the spacious interior of the 2018 Hyundai Santa Fe Sport. The 2018 Hyundai Kona is a must see if your looking for a same cuv. With so many options to choose from, including our certified used cars, you won’t have a problem finding the perfect ride. Consult with the professionals in our finance center to create a lease or loan plan that works for your budget. When the tires need to be rotated or the engine needs to be fixed, bring your Hyundai in to be serviced by the trained technicians in our service center. For more information about our Hyundai inventory, contact us at (321) 723-4500.